how to play. Admitting he was "appalling", Alastair faced his fears, played his violin in Spanish streets and squares and, although often hungry, didn't starve. A very popular speaker, audiences appreciate that Alastair's messages are authentic and hard-won by trying new challenges in different environments. Alastair consciously steers himself away from becoming an expert in any one niche of adventure. His books, blogs, videos, short films and photographs demonstrate his creativity and are enjoyed by an international community through social media. As well as the major expeditions, Alastair's award-winning concept of microadventures - short, adventurous journeys close to home - encourage people to take practical steps to challenge themselves by undertaking adventures of their own and improve their physical health, mental well-being, and all-important work/life balance. In every situation you can focus on the constraints and obstacles or you can look for the opportunities. As Alastair puts it, microadventures encourage 5 to 9 thinking - an approach that applies to so much more than adventure. The concept of microadventures led to Alastair being named as one of National Geographics Adventurers of the Year. Feedback consistently emphasizes that Alastair's talks entertain audiences and deliver powerful messages around self-belief, creative thinking, innovation, change, finding opportunities within constraints, personal and team development, as well as facing challenge, staying motivated and setting small targets to achieve outrageous goals. Corporate clients across all sectors appreciate Alastair's ability to tailor his talk creatively drawing on his many adventures to deliver on their brief and his engaging, humorous style. 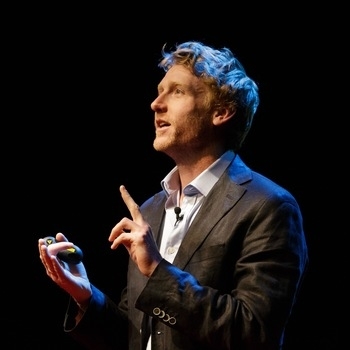 Client briefs are often varied: Alastair has delivered keynotes on leadership, challenge and motivation but also on the importance of communicating new ideas such as #microadventures through social media internationally, for example, or on health and well-being. All of his talks demonstrate the power of positive thinking and deliver the motivation and practical steps required to get started, make a change and focus on important goals no matter what they may be. 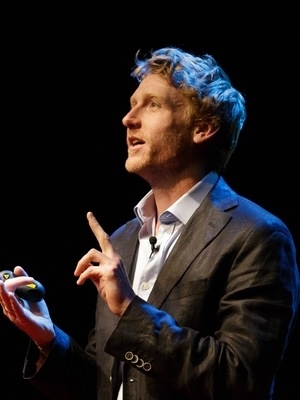 Alastair Humphreys is passionate about encouraging others. Drawing on his many adventures, Alastair tailors each talk and has superb photographs and film footage to illustrate talks. Alastair's inspiring and humorous talks challenge the audience to set more challenging goals - to do more. He reminds everyone that nothing is achieved without being bold enough to begin it. The lessons from the road. Alastair has published nine books (including three for children) and he is a keen photographer, award-winning short filmmaker, popular blogger and motivational speaker.